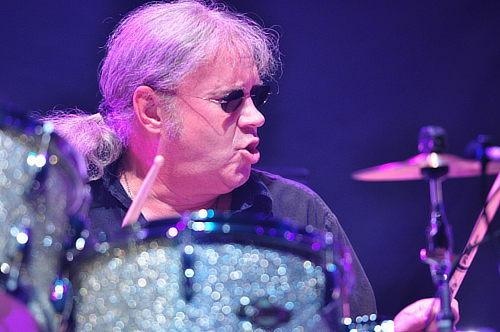 The British Music Experience is introducing The Practice Room — “a series of mentoring sessions that allow musicians to learn from professional players and songwriters.” Our own Ian Paice will launch the sessions on September 17 between 7pm and 9pm. Tickets are on sale through the Ticketmaster at £5.75, and that includes admission to the BME on the day. Thanks to Yvonne Osthausen for the info. Posted by Nick Soveiko on Thursday, August 23rd, 2012, filed under News. You can follow comment on this post through the RSS 2.0 feed. You can leave a comment below, or trackback from your own site. Paicey is a good one to learn from in as far as learning to play the drums by ear. l listened to Paice over the years and am quite happy with my ability on the drums, no formal lessons involved, no reading..just add Paice, Powell, Bonham, Ward, listen and learn. Hope there is some video documenting from this event…..